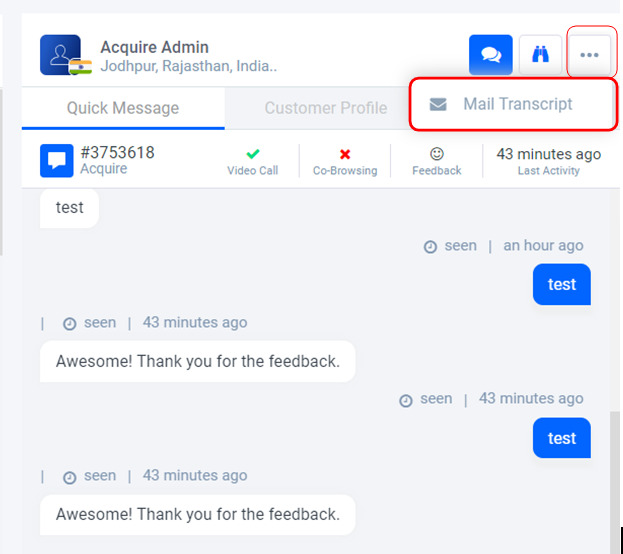 This feature will let you message the visitor/client while they are not active on your website on chat and had left the website after having a chat with the agent. There are two ways to send message customer when they left website. In-App : That message will be sent only on the customer’s chat window. E-mail : This option will help to send a message to customer email ID. In-App messaging Recipient can also be edited. If there is a need to add an image that can also be added. You can attach a file if you want to send to customer with the “U-Pin” action. Refer below images for further clarification. You can check all the previous of the customer with the agent of the customer in the profile section itself. 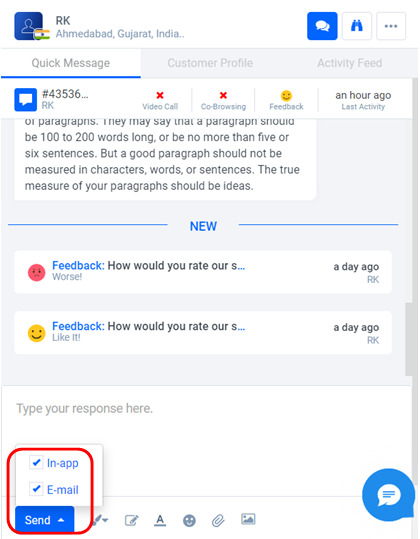 Also you can feedback from the customer end in the details after each chat. Customer profiles helps to get the customer information from Profile section. 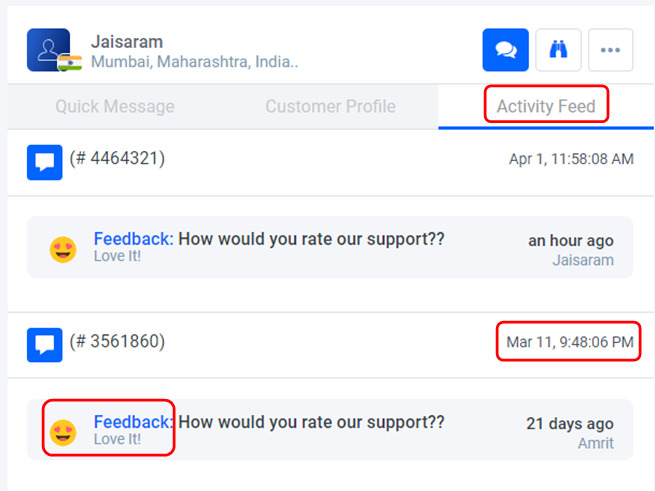 On the top of the page it will shows what time Customer had initiated a chat, how much time customer had visited website & last seen of the customer as well. Then, there will be general information of the customer displayed like Name, Emails ID, Phone, Remarks & Tags. Also it gives information in which platform the customer data can be synced. Say for example - Salesforce, Intercom etc. Kindly refer to below screenshot for reference. 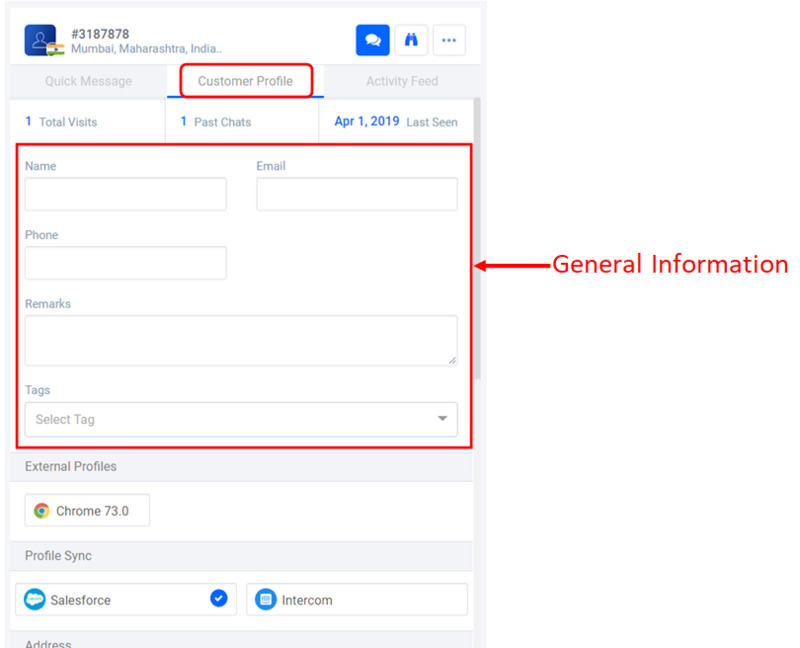 In addition to this, Profile section also gives the information about Location, System Information, Source information as per below snapshot. 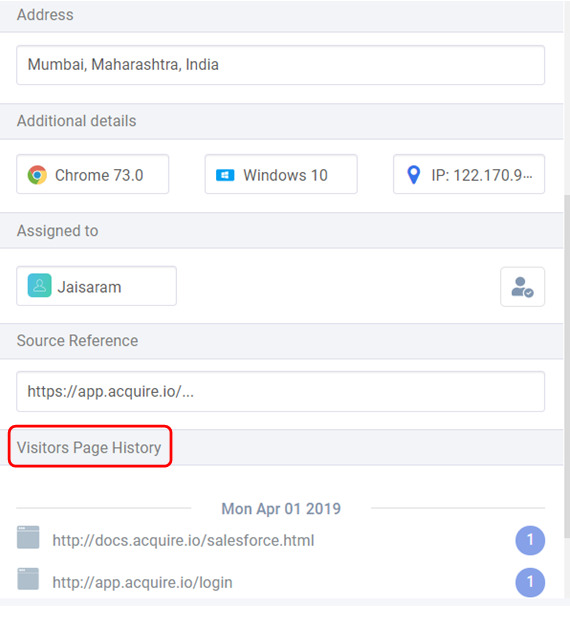 It shows which all page customer has visited on our website. 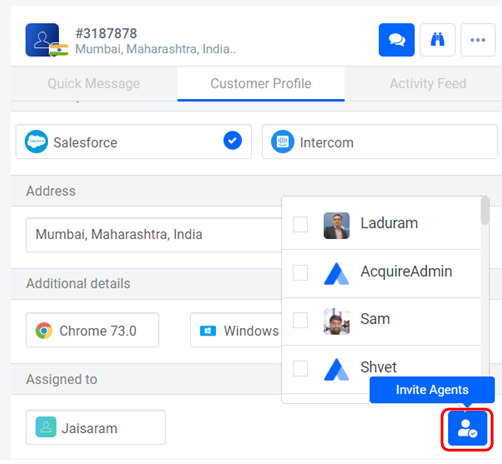 Invite agent button helps you to invite agent you want to add in chat from profile section. 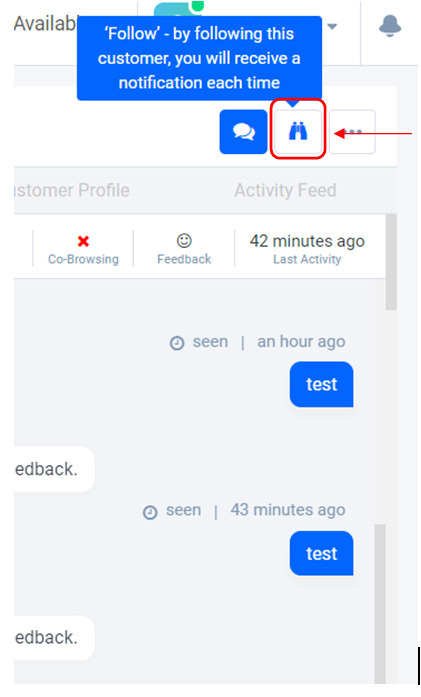 Activity feed shows all the chat of customer with agent till now. And also shows what was the feedback given to the Agent by the customers. It also helps us to know on which date customer had a chat with the Agent with Time. If you want to Email the whole conversation between Agent & customer you can do it on a single click from the profile section. Please refer to image below. Follow option will help you to receive a notification each time whenever customer will be online. Send Message/Email option will help to send an Email or Message from the profile chat or chat history. 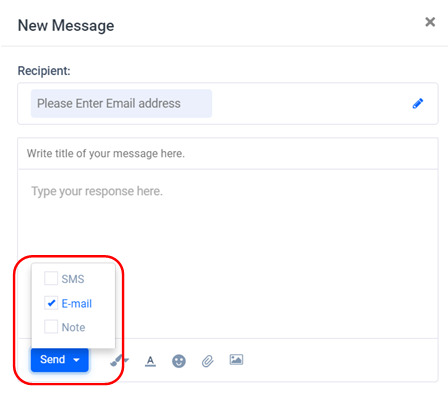 Once you will click on the Send Message/Email option, small windows will pop-up where you need to enter the details you want to convey to customers and mode of sending the message. Agent can send by 3 ways : SMS, E-mail & Note. and just click on the Send button.